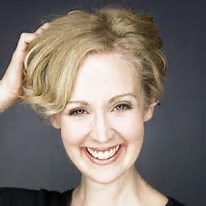 Bluff City Theater is proud to present award winning performer Lisa Horner on Friday March 13th. Bluff City Theater continues its tradition of bringing world-class talent to Hannibal with its presentation of Hits of the Blitz on Friday March 13th at The Mark Twain Brewing Company as part of the 2015 fundraising gala. Among her many accomplishments, Lisa recently appeared as Mme. Thenardier in the 25th Anniversary production of Les Miserables at the Princess of Wales Theater. A native of Canada, Ms. Horner boasts a 25-year career on stage, screen and television including originating the role of The Wicked Witch of the West in the North American revival of The Wizard of OZ with new music by Andrew Lloyd Webber. Despite her stellar credits, she is undoubtedly best-known as the IKEA lady in the award-winning “Start The Car!” commercial which airs literally around the globe and has people stopping her on the street wherever she travels. Lisa will be joined on stage with last year’s favorite songstress Norah Long and newcomer Matt Rein, both from Minneapolis as well as local performers Clark Cruikshank, Jim Dewey, and dancers David Jamieson and Jaime Todd. We also welcome back Music Director extraordinaire Greg Gibson on the keyboards! There is still time to reserve your tickets for this amazing event. Tickets include the show and a tapas-style tasting menu from 12 of downtown’s best restaurants. Dinner and the show are just $60pp or $110 per couple, or book a table of 8 for just $400. Call the Box Office at 573-719-3226 or click here to reserve online. Only 200 tickets are available, so reserve yours today! Previous article Local Auditions- Oliver!